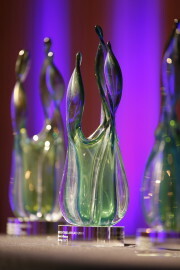 The awards vase would look great in your office! Washington, D.C. – From teaching high school students in rural western Kentucky how to become entrepreneurs to connecting entrepreneurs with a worldwide network of partners in a virtual hub, organizations are finding innovative ways to build regional prosperity. Four outstanding examples were recognized today by SSTI, a national organization working to strengthen initiatives to create a better future through science, technology, innovation and entrepreneurship. SSTI’s Creating a Better Future Awards celebrates outstanding economic development initiatives from across the country in a variety of categories. The Kentucky Innovation Network in west Kentucky was seeking a culture change and wanted its youth to think about creating jobs as opposed to finding them and knew the importance of teaching entrepreneurship to the rural youth. 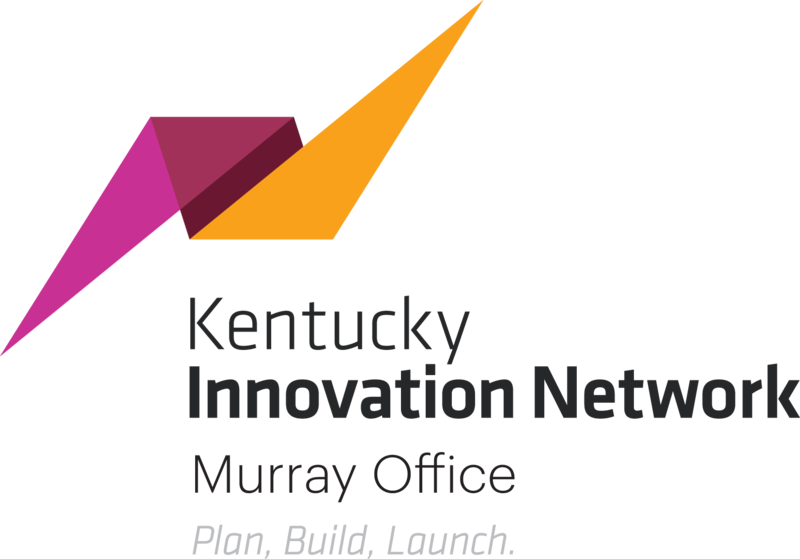 With support from the Kentucky Cabinet for Economic Development, the Kentucky Innovation Network office at Murray State University created “The Next Big Thing” to develop young entrepreneurs in its rural school districts. Working with teachers throughout a 20-county area, the program involves community partners and incorporates innovation and entrepreneurship through project-based learning. Students who participate identify a problem and develop their solution, prototype and business model. They attend an accelerator day, receive mentoring in the classroom and present to faculty, entrepreneurs, investors and community leaders. ln the five years since The NBT launched, 876 high school students have participated and many are developing businesses. In 2016-2017, two of the top three teams were already in the marketplace and interest in the program has spread to investors and across the state. In another award-winning effort to increase entrepreneurship, Larta Institute’s Commercialization Accelerator Program Initiative (CAP) won in the category of Creating a Better Future through Entrepreneurship and Capital. The CAPs are six-to nine-month virtual enterprise development programs for small, earlier-stage businesses with innovations in the hard sciences. Each participant gets a customized experience, working one-on-one with a network of industry experts, who guide their commercialization strategy, and later potential buyers, investors and partners, who help advance their path to market. 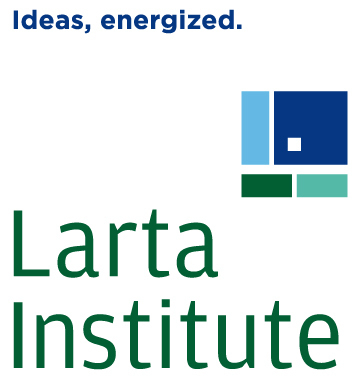 The CAPs provide a partnering emphasis, introducing peer-to-peer learning and strategic introductions to potential collaborators, partners and investors, drawn from Larta Institute’s global network. The program makes more than 700 “strategic introductions” to the CAP companies yearly. Since 1993, more than $2.7 billion has been raised by Larta CAP companies in non-dilutive funding and more than $4 billion of private investment has been raised. Judges were struck by the level of experts that the program draws upon, with one judge calling it a good model for the future. “This is difficult enough to do on a local level, even harder on a national level,” the judge commented. The ability to reach out to a virtual network is a factor that other regions who do not have ample local resources could replicate, another judge commented. The New Jersey Innovation Institute (an NJIT corporation), Health IT Connections program took home the Creating a Better Future through Competitive Industries award, through its work to grow the state’s regional health IT ecosystem. A hallmark of the program is the development of connections among the entrepreneurs, service providers, hospitals, patients, government agencies and anchor institutions. The Health IT Connections program addresses market access challenges for both entrepreneurs and small to medium enterprises that have difficulty reaching the larger healthcare players. Part of Rhode Island’s economic development strategy is attracting and retaining talent, especially in crucial STEM and design fields. The Rhode Island Commerce Corporation’s Wavemaker Fellowship program was recognized by SSTI as the Most Promising Initiative category winner. The program is intended to attract and retain STEM and design workers by defraying the cost of student loan payments for graduates who have incurred student loan debt while completing an associate, bachelor’s or master’s degree. Fellows are selected through a competitive, merit-based application process and receive an annual tax credit that may be awarded for up to four years. In addition to a financial benefit, the initiative includes an engagement element that is designed to add a “stickiness” factor intended to deepen the Fellows’ connection and investment in the state. Although still in its early stages, the program has already heard from participants and their employers that the Fellowship award was part of their decision to turn down a job out of state and instead pursue a career in Rhode Island. In its inaugural year, Fellows represented 110 companies in the targeted advanced industries across Rhode Island. Judges liked that the program is addressing STEM talent, calling it “one of the major issues those of us in the TBED community are facing these days.” Another noted that “talent is ultimately the biggest challenge we have. We can create a lot of programs, but if we can’t find the right people, it makes it a rockier road.” One judge noted that focusing on STEM and the “stickiness factor” may help other states think about potential strategies in talent attraction. This year’s awards were announced during SSTI’s 2017 Annual Conference, held Sept. 13-15, in Washington, D.C.